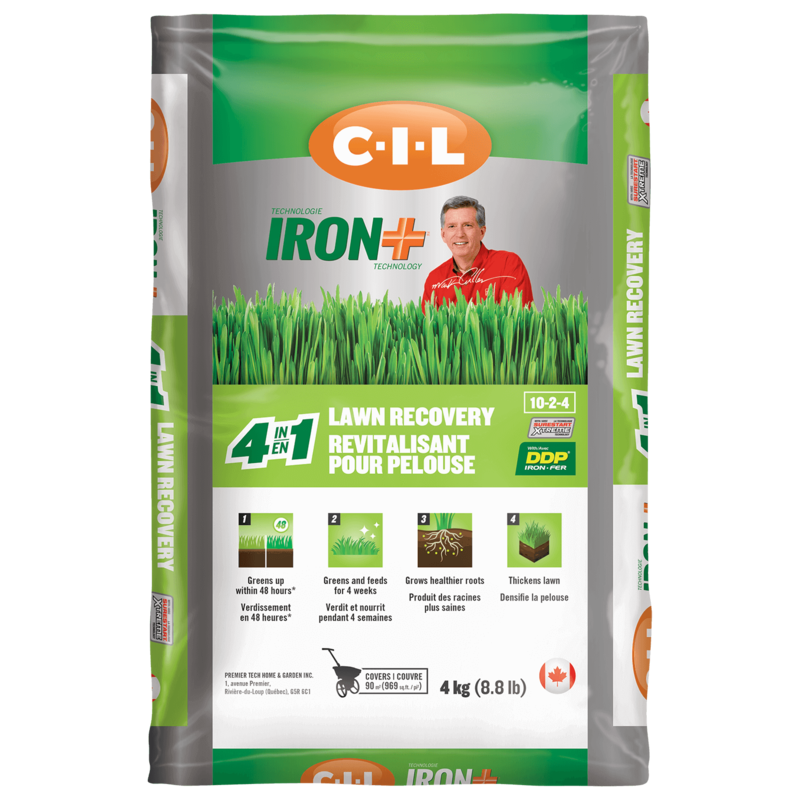 Iron Plus Lawn Recovery 4-in-1 is a combination of grass seed, fertilizer, iron and compost. This product works quickly to help your lawn recover from damage caused by drought, insects, dog spots, or ice melt. Added iron for faster green up. 10-2-4 NPK gives the lawn a booth for 3-4 weeks. 7kg bag covers 1700 sq. ft.